Two weeks ago, my uncle Philip came to town. He is the last remaining member of my mother’s family to have personal experiences of the war. He was there when my grandfather was making harnesses and saddles, he remembers the powerful Nazi who protected them, he was hidden by a succession of Polish farmers. Philip was twelve years old at the time. He has a remarkable knowledge of the history and geography of the area, and of the prosecution of the war. I sat down with him at my cousin’s house to ask him some questions. A Swiss historian and an Israeli journalist are planning a documentary about Bernhard Falkenberg, a German who ran a massive drainage project in the Wlodawa district during the war. Though Falkenberg was a member of the Nazi Party, he wasn’t in the SS; he’d been disqualified in the 1930’s, after he was arrested for handing out anti-Nazi leaflets. The researchers want to know what Philip remembers about him. Wlodawa was surrounded by bogs and lakes. The scheme was to draw the water away from the land, empty it into the Bug River, then use the newly arable earth to grow crops to send back to Germany. Philip remembers the ditch they dug, an enormous canal, two times higher than he was, twenty meters wide. Falkenberg gave his Jews rubber boots. The day the SS snatched them all away, he said, “Give me back the ones with boots.” He is probably the last person alive who knows this story. He remembers the Russian prisoners of war, locked up in a fenced-in army base without food or warm clothing, slowly freezing and starving to death. He remembers the Volkdeutscher family, given one of the biggest Jewish farms in the area, commissioning two suits of leather for their new horses and never paying for them. He remembers his friend, shot to death on the stairs of their house, running from SS soldiers who were there to take them away. He remembers Selinger and Falkenberg, scrambling to keep their workers out of the Nazis’ hands. He remembers hiding in Falkenberg’s stable during the Kinderaktzia, and how Leibish Glincman the stableman gestured them in, urging them to hide, and how Falkenberg’s twelve-year-old son discovered him there, and chose not to give him away. He remembers my grandfather running to Selinger’s Mercedes before an Aktzia, crying, “Selinger, Selinger, what should we do?” He can describe the smell from Sobibor, drifting into town. He remembers Nitschke, an evil man, head of the Gestapo. He remembers a Selektzia where he was separated from his father, and while the officer looked down at his list to read off the next name, jumping to the side of the living. The stories of Selinger’s and Falkenberg’s heroism belong to my family’s history as much as the selfless courage of the Polish farmers. Falkenberg started out with 2,000 Jews and was saving 500, until he was accused of trafficking in gold and sent to Mauthausen. Selinger protected his Jews as long as he could, but sat by helplessly under house arrest as the SS shot them behind the barn of his castle. It’s a strange thing to be a Jew with beneficent Nazis in your past. Philip remembers other things, too. He remembers the town, 85% Jewish before the war. He remembers the size and layout of my family’s house, its location across from the glorious 17th Century Baroque synagogue. He remembers my grandfather’s harness and saddle business, the side access road that the horses and wagons came through. He remembers my grandfather’s friends, Jews and non-Jews alike. He remembers my grandmother’s enormous oven, which cooked half of the cholents in town every Shabbos. He remembers that my grandfather had three sisters and two brothers who lived in the surrounding villages. We sat across the table from each other. My cousin’s house is in a beautiful New York suburb. The house is 1920’s Mission, in perfect condition. I envied the kitchen. It’s just the way I like it, with white subway tiles on the walls and original 1920’s woodwork. In this kitchen, I sat spellbound as my uncle told these tales of death and survival, of wildly unimaginable cruelty and spontaneous heroism. At some point, my fourteen-year-old daughter joined us; she’s grown up with some of these stories, and she was hearing them for the first time from someone who lived through it. It was the fifth day of Chanukah. We were warm, we were comfortable, there were cream-cheese rugelach on a plate on the table. Downstairs, our kids were playing Just Dance 2. After dark, we would light candles and exchange presents. But as my uncle Philip spoke, we were transported back in time to 1942, the coldest winter in Polish history. We were twelve years old, there was a frightening smell in the air, and we were hiding from men with guns who were hunting for women and children. I have been to Wlodawa and the shul is beautiful. Now I will always associate you with it. Wow! How did you end up in Wlodawa? I am the stepson of Berhard Falkenberg. Born 08.09.1929 in Berlin. Dieter Schlüter, Pinienstr. 56, 67065 Ludwigshafen, GERMANY. For me personelly I have translated the story of your Grandma, now published in the Internet. I think, Greta Rotstein and Berhard Falkenberg were fallen in love ?? 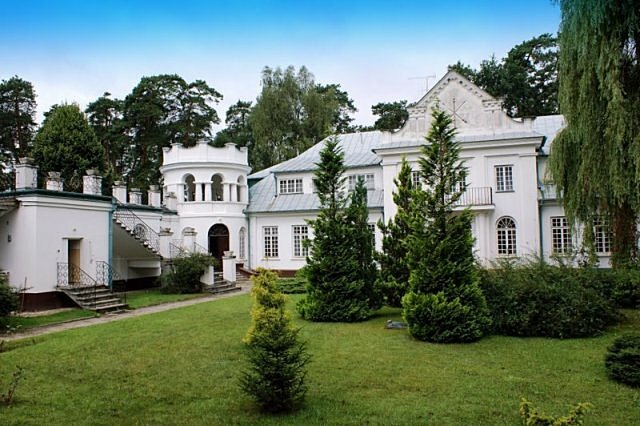 From 1941 until 20.07.1943 I have spend my holidays in Wlodawa. 1981 I have written a screenplay abaut the events in Wlodawa . The titel:’Endstation Sobibor’. I have written another book, titeld ‘Shoa and Fashisme. What have you done against terror ? A privat dokumentation to the history’. Of course! What a wonderful idea, I’m proud to be part of it. I am the step-son of Bernhard Falkenberg. You can find in the picture above with my mother and father. Oh, my God, really? It’s a privilege to meet you! You’re the boy in the picture? Do you remember hiding my uncle Philip in the stable? please read my sentences from above. 01: If Selinger has been a hero or a murderer, I cannot say. Another SS-Man with the similer name Seeliger captcherd my father at 20.07.1943 and send him to the KZMauthausen. At the same day he prisoned my mother. 02. I cannot remember your uncle Philip. 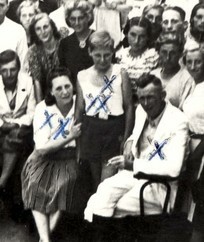 From 29.04. until 20.07 1943 my parents were hiding 30 old man, woman and children in our attic. I took care of them with food and all nessecary. Our family keeped 1.030 Jews from evacuation to the gas chambers of the KZ Sobibor. Helen Maryle Shankman and Grete Burger are the first jewish or christian persons, who after seventy years are intersted in the greatest heroic deed from civil people during World War 2. Thanks for writing to me–it’s an amazing story, with acts of incredible bravery, and it deserves to be more well known. If only more people had been as courageous as your family was. A man named Shraga Elam is very interested in doing a documentary on Falkenberg. Hopefully, he will be getting in touch with you. at first: I am at the age of 82, cannot speak or wright English and dont understand anything about the newest technical things as there are Internet, email and so on. And I suffer by Alzheimer. Many thanks for your marvellous letter, written by GMXMail at 01.06.2012. I wished to answer by GMX, but I could not. The former days I hoped, you would tell me your privat address for sent to you my two books about Wlodawa and some of my 800 letters. Beside my job (Sozial-teacher),the fate of Jewish people stood in the center of my life from 1941 until nowadays. Now I will answer some of your questions. a) My email-number is right. b) My father never was a Nazi or Kommunist, but a friend of mankind. c) My father was not the last person alive in Wlodawa. One of the latest was Grete Burger. Her grandchild Nir Rotstein asked in this page at 14.03.2011: “If someone can help me find the grandchildren of Falkenberg”. His son Dieter answerd at 02.06.2012, but got no reply. d) Your grandfather was a saddlemaker and haarnessmaker. Perhaps he had known me, while I even lived in Wlodawa. My father had only one passion: riding boots . May be, your Grandpa prepared 7 pairs for him. e) Your Grandpa had his house near the synagogue. We had our house at ul. Zabagonie 18.
f) You wright, Shraga Elam is very interested in doing a dokumentary on my father. My school-friend Dr. Klaus Riemer had been an editor of TV-dokumentarie Zweites Deutsches Fernsehen. 1980 he asked me to wright a treatment about the events in Wlodawa. I gave it to him and he was astonished: “I cannot find your name anywhere”. In March 1981 I gave him my scrennplay titled :”Endstation Sobibor”. I send my book to three other TV-Sender. My screenplay shpould be a gift. They send back my book. “4 million dollar are too expensive of the film”. For broadcasting the inhuman football games they spend every year 460 miilion Euros. 01. Did you give him my address? 02. Does he speak German? 01. If Selinger has been a hero or a murderer, I cannot say. An SS-Man with the similar name Seeliger captured my father at 20.07.1943 and send him to KZ Mauthausen, and prisoned my mother the same day. 02. I cannot remember your uncle Philip. From 29.04.43 until 20.07.43 our family were hiding 30 old man, woman and children in our attic. I took care of them with food and all what was nessecary. “During World War II our family keeped 1.030 Jews from evacuation to the gaschambers of Sobibor”. Perhaps you cannot believe it: You and Grete Burger are the first persons, who are interested into the rescue of 1.000 jewish sisters and brothers in Pland. It’s really incredible. You don’t understand English, and I don’t understand German! Luckily, the internet is translating for us! A historian by the name of Peter Kamber is going to get in touch with you. I just had an email from Shraga Elam. Peter is doing the documentary, with Shraga’s help. Yes, he speaks German, don’t worry. I wonder if my grandfather made those riding boots! It’s possible–he made everything that had to do with horses, including upholstering the carriages. I will send you my address. I would love to have your books and letters. I don’t speak or read German, but my Uncle Phillip, who was in Wlodawa, and is also 82, does. I am sure he would want to read them. My uncle mentioned a Jewish man who worked in your stable, but we don’t remember his name. Do you? Again, thank you so much for writing! speak and read German. Is it allowed to me the next letter to wright in German? Uncle Philipps qustion about a coachman. We had fourteen. Shmuel Stuhl, born 1924. He was one of my friends. Every morning at 7 o’clock we droved out with a horseteam to the woods, picked up tree trunks and took them on our property to the sawmill. I gave him hamsandwiches and he tought me Jewish, a german dialect. Chelm Melzer, born 1929 in Sobibor, went after the war to USA. His address: NJ 08701 , 1670 Lakewood, Tuxedo Terrace. He told me by phone, that Shmuel lived in Venezuela. I asked for his address, but I did’nt get it.Chelm Melcer was or is a Poultry farm owner. From 1995 until 2001 he and his wife invited us to visit them, but my wife Gudrun does’nt enter an airplane. My father had two coachman in shifts, because he worked 16 houers a day. Both were born in 1913. After the war they went in common to Canada, to the same town Toronto. Joseph Cahan, timber merchant, Toronto 4, 17 Mackay Anenue. Josef Glincman, building contractor, Toronto 10, 25 CroydonRoad. The son of Mr. Cahan phoned me, when he visited Mr. Melcer in 2001. He told me, that both coachman are still alive and that he was one of the 30 people, wich our family were hiding 3 month in our attic. And he could very well remember, that I brought them food. The pomised validation did’nt reach me. Many thanks to you, for contacting me with two important men. Absolutely incredible! Thank you again for your amazing information, and thank you for writing to me! I can’t believe you know Mr. Melzer! He is my mother’s lantsman. We visited him in his home in Lakewood. I will call my uncle Philip tomorrow and tell him about all of this. Perhaps you two could talk together? At least, you can write to him in German. Can you tell me more about your letters? Who wrote them? Are they from the time of the war? We would love to see them, of course, but please don’t send us the originals–we wouldn’t want anything to be damaged or lost. Is there a way for someone to make copies? Here is the historian’s name and address, he is very eager to speak with you. i got this correspondence and i am thrilled. 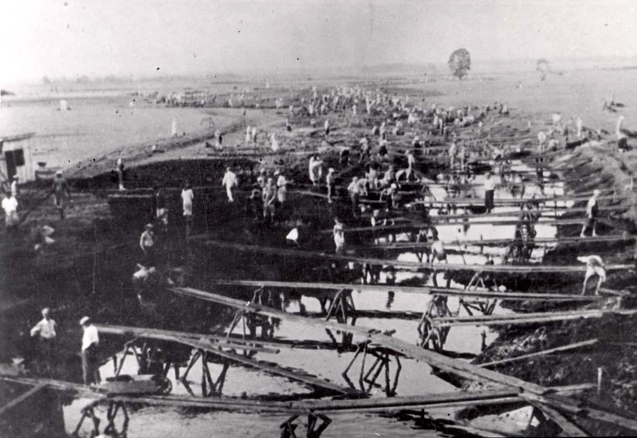 my cousin hy (haim hipsman) worked by falkenberk at the draining work and at his home. if i remember he told me personally that falkenberg saved his life as he told him to run away because a final action had to be at a certain time. he run away to rusia and survived. after the war he left to states and lives in boston. around him some other survivers of wlodawa. haim is my cousin from my mothers side, your mother was my cousin from fathers side. he is still living in boston healthy and with good memory. i have his testimony which was taken by the washington jewish museum. In the past few years, I began to feel driven to know about these things. What makes someone risk their life to save others? I have so many questions for people who are no longer here to answer them. Do you have your father’s testimony in a document? Can you email it? the son of Mr. Falkenberg would like to write a few words to you. Your cousin Haim Hipsman lives in Boston together with other survivers of Wlodawa and gave his testimony by the Washington Jewish Museum. 02) The names, the age and the address of the other survivers? 03) Your address in Israel? I have a list with 22 survivers in Israel, who gave their testimony in 1964 in the court of Hannover. And I have 19 papers, which are associated wth the criminal events in Wlodawa. Yesterday I have send both to Helen Shankman in Teaneck. I think, you would like to get it too. So please send me your address. My address and more about me you can find above to the data 02.06. and 07.06.2012. Just in case he didn’t see it, I forwarded your message to Yosee Soroka. Thanks for sending me your papers–I look forward to reading them! Nur für den Fall, dass er es nicht gesehen, leitete ich Ihre Nachricht an Soroka Yosee. Vielen Dank für das Senden Sie mir Ihre Papiere – ich freue mich darauf, sie zu lesen! Thank you so much for the documents! They arrived today. When I opened the envelope, I felt like I was holding history in my hands. I look forward to translating them and reading them. Vielen, vielen Dank für die Dokumente! Sie sind heute angekommen. Als ich den Umschlag öffnete, fühlte ich mich wie ich hielt Geschichte in meinen Händen. Ich freue mich darauf, sie und sie zu lesen. I’ve been translating some of the things you sent me. So far, I’ve read your testimony, and some of your book, “Shoa & Faschismus.” The photograph of you, a 13 year old boy, running across the scaffolding on the Drainage Project just blows me away. I can’t believe that a 13 year old boy was there, and witnessed all the things you saw, including watching your mother and father being arrested by the evil SS man, Nitschke. Unbelievable. I am the grandson of Leibush Glincman and named after him. My father Yankel (Jack) was his only survivor. Hi, Larry! It’s good to hear from you! I have a question for you. Did your father ever mention Dieter Schlueter, Falkenberg’s son? He spoke of Falkenberg. He was at the trial in Poland after the war too where the Nazis who ran Sobibor, Adampol and the Wlodawa Ghetto were tried. Dad was one of the few survivors of the elimination of Adampol and the mass shooting of all the Jews working there. He and his cousin Bollock Beckerman (Bob Becker in America) joined the Pomerancs, Ledermans and others, all cousins, as partisans after that action.